Practice for FREE from your phone or your laptop! Don’t expect to be perfect! Can you remember when learned to ride a bicycle? Did you ride perfectly from the first time you sat on the seat? When learning a new language, expect that you will make mistakes, and don’t be embarrassed by them! Work on developing an “ear” for Spanish. Remember that language is first and foremost oral communication. A written alphabet is merely a collection of symbols used to represent the sounds of the language, and cannot be expected to capture every nuance of sound and intonation. Try to develop a “good ear” for Spanish. An easy and fun way to do this is by listening to Spanish music, watching Spanish movies, or watching Spanish cable TV. The only way to learn to speak a language, is by actually SPEAKING. You can study for years, and master all of the grammar rules, but unless you actually practice speaking, you will never speak well. When you are practicing speaking, remember to do it out loud, at normal conversational volume. To really learn a language takes time and committment. Consistency is by far the most important factor. If you can devote a solid twenty minutes a day, nearly every day, you will be far more successful than if you “cram” for an hour or two, but only sporadically. When learning a foreign language, it is common for listening skills to develop more rapidly than speaking skills, leaving the learner in the unfortunate situation of being able to understand, but unable to respond. A good way to surmount this problem is to talk to yourself as much as possible. Because there is no one else around, you won’t be weighed down by the inhibition that so frequently burdens the beginning language student. One of the best tips I can give you is to make and use flashcards. Make cards that are small enough to easily carry with you, and write the English on one side and Spanish on the other. Make labels for things all over your house. For example: la pared (wall), la puerta (door), el escritorio (desk) etc. Remove the labels only after you have mastered the vocabulary. Progress in language learning does not follow a straight-line graph. You cannot expect to make the same amount of progress, day after day, week after week. You may find yourself struggling at times, seeming to make no progress. Don’t let this discourage you. It is normal to reach plateaus in your learning progress. If you find yourself “stuck” try spending time going back and reviewing things that you already know well. Often this will help prepare you to break through to the next level. Try to find a native speaker who can be your conversation partner. This can be your greatest asset as you master the new language together. Try reading out loud. You will get all of the benefits of reading, plus you’ll get really good pronunciation practice. In fact, as a beginner, you should read aloud as much as possible. Welcome to our Spanish class! This class requires your active participation in class as well as the completion of homework and projects outside the classroom. It is designed to include individual practice and group activities. In addition to standard forms of teaching, there will be scheduled videos, group work, oral and listening activities, and cultural celebrations. Deciding to learn Spanish is one of the best decisions you can make if you want to travel and see the world (more than 400 million people around the globe speak Spanish). After Chinese, English and Spanish are tied as the two most frequently spoken languages worldwide. Also, inside the United States, Spanish is by far the most widely spoken language after English. Learning a language is more than just memorizing words and structures; you learn how the people who speak it think, feel, work, and live. Knowing Spanish can open doors when one is looking for a job; you can work for international and multinational companies anywhere in the Spanish-speaking world. This class will be taught mostly in Spanish. 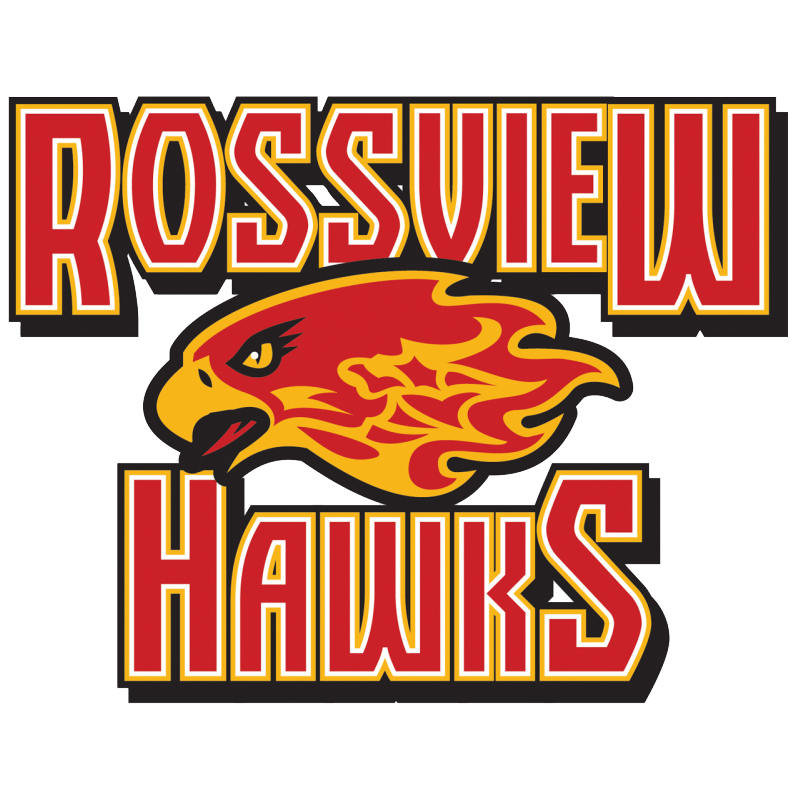 The goals of the Rossview High School Spanish department are to teach our students how to speak, comprehend, read, and write in the Spanish language. In other words, the primary goal is to help our students become fluent in all aspects of the language. Because the goal of the program is to make our students proficient in the Spanish language, there are very high standards for successful completion of the course. Students will have all the help from me that is necessary for them succeed in Spanish class. However, there are some personal responsibilities that the students will have. They will be given vocabulary lists, which they should study nightly. Yes, students have nightly vocabulary study, even if there is no formal assignment from me. They need to understand this is a requirement to succeed and not a suggestion. They will be given notes on grammar skills for each chapter, which they should have organized in their binder for study. They will also be given a daily opportunity to practice the skills and vocabulary that have been covered in class. Students are to be responsible in their work habits and turn in work. If they are absent from class, they need to ask for missing information. (See student handbook for more information.) It is not easy to earn an “A” in Spanish class, nor is it easy to fail this class. The student must study, organize notes, be responsible for work, and let me know if there is a question/problem if they are to succeed. Spanish 1 is the foundation for success in Spanish 2 and beyond, especially if the student is planning to take Spanish 3 and AP. A textbook, Avancemos I, can be accessed online at www.avancemos.com and via my Google classroom. Students need to have a notebook or a composition book, a pen (black or blue ink), pencils, and ear buds or headphones. Each student needs to bring all materials to class every day. Class rules have been established for our classroom in order to keep an orderly learning environment. Each student is expected to follow my rules and procedures so that class time is used effectively and learning can take place. Parents will be notified when their child has disrupted the learning environment. Raise your hand if you need to express your opinion. Be respectful (this includes towards the teacher and students). Students will obtain up to 25 points a week. There is a maximum of five points per day. STUDENT MUST BE PRESENT IN CLASS IN ORDER TO GET DAILY POINTS. (Exceptions: being sick or doctor’s appointment, school business). If a student is sent to ISS (In-school suspension) or suspended from school, he/she will not get participations points. If you sleep in class or choose not to do anything in my class, you lose five points. Sleeping is not allowed in our class. I have an open door policy and invite all questions and concerns you may have. I will do my best to help you! Please take advantage of this opportunity. I do respond very quickly through email. Grades will be posted in Power School. It is the students’ responsibility to check their grades for accuracy and any make up work that may need to be completed. Parents are encouraged to check a student’s grade at any time. Power School is updated every week. Quizzes will be given every week. Tests will be given every two or three weeks. Tests will be announced ahead of time, as well as their content and type (multiple choice, fill in blank, etc.) Talking during a quiz/test will result in a zero without a chance to make it up. Homework will be graded for completion. You must complete the assignments before If you have not fully completed the homework by the start of class, you will receive a zero for that assignment. Work must be completed before turning it in to the teacher. Late homework will be accepted for half credit the next day only. Some designated homework assignments will be graded for accuracy. Students will not be allowed to complete homework for other classes. Extra credit will be offered throughout the semester in different forms (bonus questions on tests and quizzes, small extra assignments, etc.) Please take advantage of these opportunities when they are offered. Please ask for help before it is too late. I will be available every day after school for tutoring except Thursdays. RHS attendance and tardy policies will be followed. Since attendance is directly related to student achievement, students should miss class only when absolutely necessary. If you must be absent, please follow the make up policy below. All make-up work/assignments/class notes are responsibility of the student. I will not ask for make-up work. All assignments are due within an equal number of days with the number of consecutive days of absence or suspension in accordance with RHS make-up work policy found in the planner. Make-up tests and quizzes are to be made up outside of class time and it will follow the same rule as above. Afternoons between 2:30 and 3:15 are preferable or mornings at 7:05. In the event of extenuating circumstances, you must speak with me to set an appointment time. Any work not made up within an equal number of days with the number of consecutive days of absence or suspension will be given a zero, without exceptions. Students copying assignments or cheating on test will not be given credit for their work. Parents and/or administration will be informed. Plagiarism (stealing the ideas or words of another and passing them off as one’s one own) will not be tolerated and will result in a failing grade. Administration will be informed. In addition, the use of online translators such as Google Translator is not acceptable and will also result in a 0 for the assignment. This is VERY important to avoid. Students are expected to arrive to class on time. In accordance with school policy, a student will receive detention for every tardy in excess of three. Enter this classroom like ladies (damas) and gentlemen (caballeros). Be in your assigned seat, ready to work, when the bell rings. Remain in your seat unless you have permission to get up. I will dismiss you at the end of class, not the bell. Habla español as much as you can! Greet me and your friends and say goodbye. If you were absent the day before, make sure to check Google Classroom. It is your responsibility to check for missing assignments. Follow directions the first time given. We have lots of work to do! You must participate every day in order to earn all your participation points. Students will be given a join code for my Google Classroom. This is the platform I will use all year to communicate with the students. This is where students will find links to the textbook, assignments, practice, and assessments. Parents may email me for access to my Google classroom.